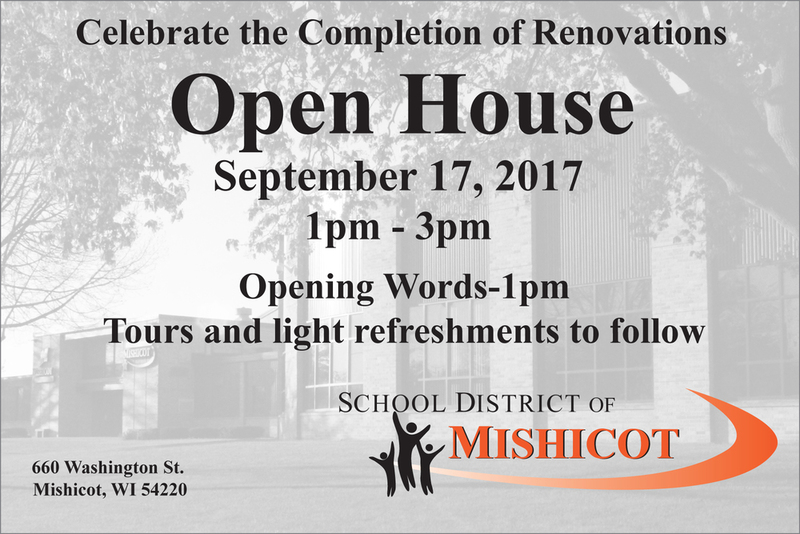 Please help us celebrate the completion of our Building Renovations on Sunday, September 17th at 1:00pm. There will be a short presentation in the Performing Arts Gym located in the High School right at 1:00pm and tours to follow. On behalf of the School District of Mishicot, we want to take a moment to THANK the community for supporting this referendum!